Marila is one of the oldest boats in the Museum collection. She was probably built near Chester or on Tancook Island as a fishing sloop. Anthony Keasby bought her in 1928, changed her rig and sailed her for pleasure until 1946. She was then stored until 1989 when she was donated to the Museum. We have restored Marila as a pleasure yacht. Her appearance and colour were extensively researched with Mr. Keasby before the work was undertaken. The high mast, gaff rig and sails are much larger than her rig as a fishing craft. The triangular iron centreboard is typical of boats in the region. Beach stones would probably have served as ballast when sailing in heavy winds. Marila was named after a species of duck, the Greater Scaup, Aythyia marila - a bird which provided names for Mr. Keasby's other boats. 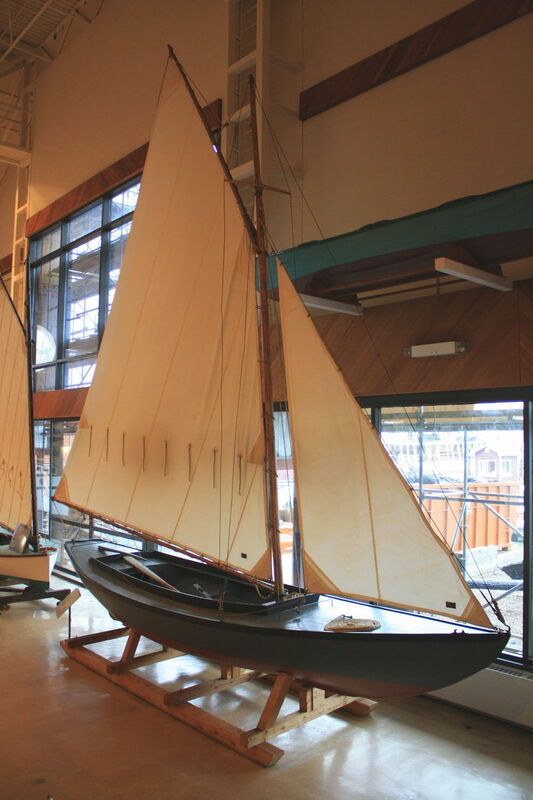 Between the fall of 2001 and July, 2004, the Museum built a replica of Marila, which was named Windekilde, in memory of the Maritime Museum's first Director, Niels Windekilde Jannasch.